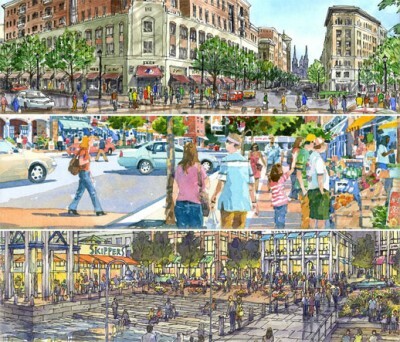 Renaissance Downtowns is a real estate development firm based in Long Island, NY that is applying a triple bottom line approach (social, economic and environmental responsibility) to comprehensive downtown redevelopment in several small to medium-sized cities across New England. Renaissance is well aware of the over 50 million cultural and workforce creatives redefining the American Dream in the U.S., and the company is pioneering an innovative crowdsourced placemaking program to allow them to have a direct role in developing and investing in the very places they want to live, work and play. 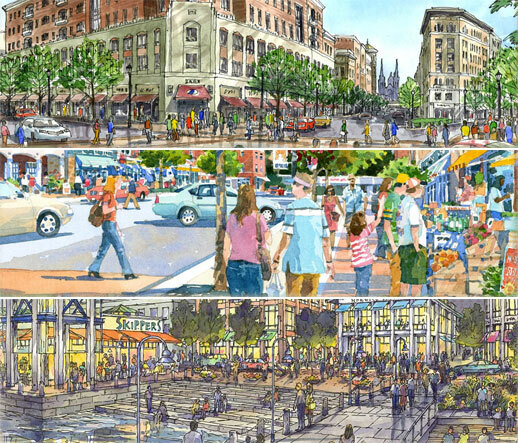 Rather than develop what they think the market wants, Renaissance will establish a crowdsourced placemaking open survey website to let the local crowd determine what their priorities are when it comes to housing, retail and recreation. Renaissance will then work with the crowds representing the most valued ideas to customize and develop many of the buildings and public spaces within the community to reflect what the eventual residents wish to see in the final built environment. This program is currently being prepared for the city of Bristol, Connecticut with the intent to employ the methodology in Nashua, New Hampshire and Waterbury, Connecticut. These three municipalities have all designated Renaissance as master developer and are in the early stages of the planning and development process, a process that intends to meet the wants and needs of the market by listening to the individuals who comprise that market through the crowdsourced placemaking program.